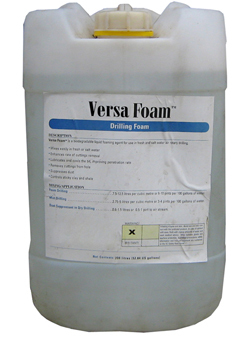 Versa-Foam is an ultra high-yielding, biodegradable, liquid foaming agent for use in dry air rotary drilling or mixed with fresh or salt water for foam rotary drilling. 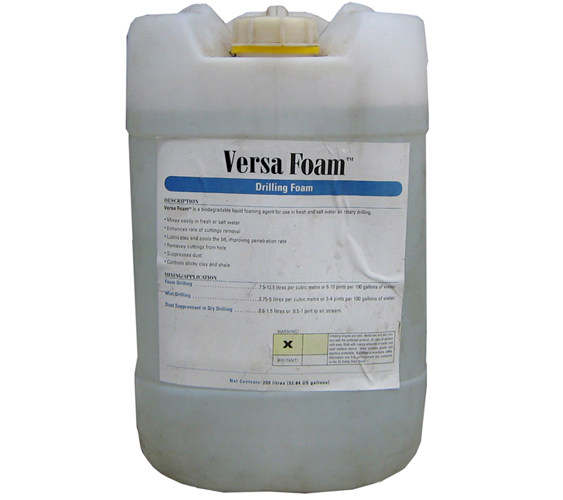 Add Versa-Foam to the injection water and inject into the air stream at a rate necessary to maintain hole stability and penetration rate. Increase amount of Versa-Foam as required to compensate for size of cuttings and down hole dilution.